Abbott has helped mums nourish their children for generations. We strive to bring you high quality, all-rounded products made possible by relentless research, while always listening to parents’ needs. 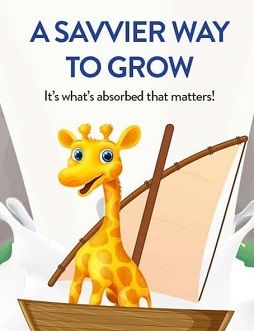 Proudly made in Singapore, GROW Toddler helps meet the nutritional needs of your child. 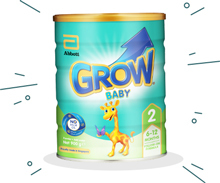 Packed with high quality ingredients to provide all-rounded nutrition that supports growth, brain development and immunity. DHA is an important building block for the development of brain and eyes. Choline helps support overall mental functioning. Taurine helps to support overall mental and physical development. Calcium helps to support development of strong bones and teeth. Vitamin D helps support calcium absorption and improves bone strength. Protein provides essential amino acids needed in the building of body tissues. Antioxidant system with zinc, vitamins C and E to help protect cells from free radicals. Iron and zinc are necessary for normal immune function. * Standard reconstitution (180.0 g/L) is prepared by mixing three level scoops (36g) with 175 mL of water. Send me a free 900g sample!